Do You Know When To Use Old Ginger Root And When To Use The Young? Ginger is known to have more than twelve types of antioxidants, making it useful for treatment of many disorders. Like other spices, it has anti-inflammatory properties and is used widely for medicinal purposes. This herb contains essential oils, protein, calcium, phosphorus, iron, vitamin C, choline, folic acid, inositol, manganese, panthotenic acid, silicon, and a small amount of vitamin B3. 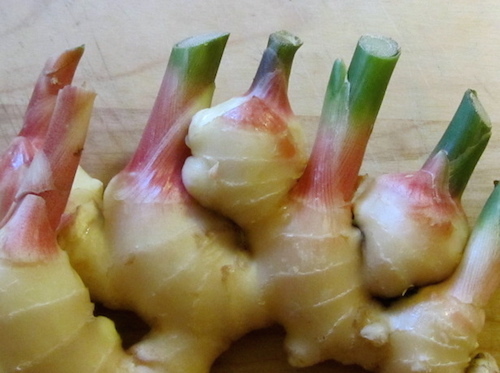 Ginger root is widely used in Asian cultures. In Japan, fresh young ginger is pickled to be eaten as condiments with all their meals. The outstanding phytonutrient in ginger root in its spicy substance called gingerol. 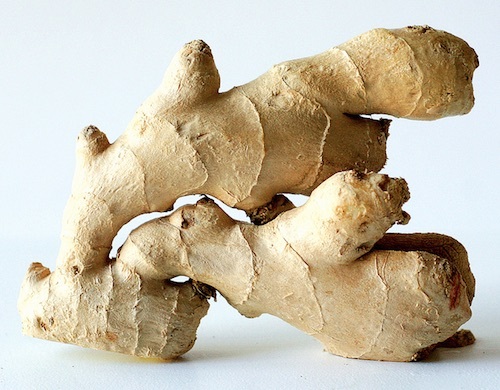 In old ginger, this nutrient is more concentrated and richer. Young ginger is fragrant, pungent, fleshy and juicy with a mild spicy taste. Whereas old ginger is fibrous and almost dry and tends to be spicier than its young counterpart. A recent study showed that young ginger brings down body temperature as in the case of fever. Whereas the old (dryer) ginger brings up the body temperature as in the case of a cold and suitable during winter. When going on an extended juice feasting, I recommend the use of old ginger for this reason. OLD ginger root tends to increase body temperature. If you tend to feel cold most of the time, as in the case of people with hypothyroidism. When doing juice fasting, you need some body heat. YOUNG ginger root tends to lower body temperature. If you tend to feel warm most of the time, as in the case of people with hyperthyroidism. Ginger root is an amazing herb and should be included in most of your juices, not only for taste, but for its myriad health benefits. Read more about the many excellent health benefits of ginger root.